Over the past winter break, Anat Kampf, Margolin Hebrew Academy’s Middle School assistant principal, traveled to Shoham, Israel, to continue building the partnership with Memphis’ sister city. The trip was funded by Memphis Jewish Federation’s Memphis-Shoham Partnership2Gether Initiative. These are reflections on her journey. This past December, I had the wonderful opportunity to visit Shoham, Memphis’ twin city in the Holy Land of Israel. Thanks to the Memphis Jewish Federation, I was able to visit two wonderful schools: the Avnei HaChoshen elementary school and Shalhevet, the local Shoham Orthodox upper school. Spending three active educational days in these schools and meeting all of the wonderful Shoham students and teachers was a gratifying experience. 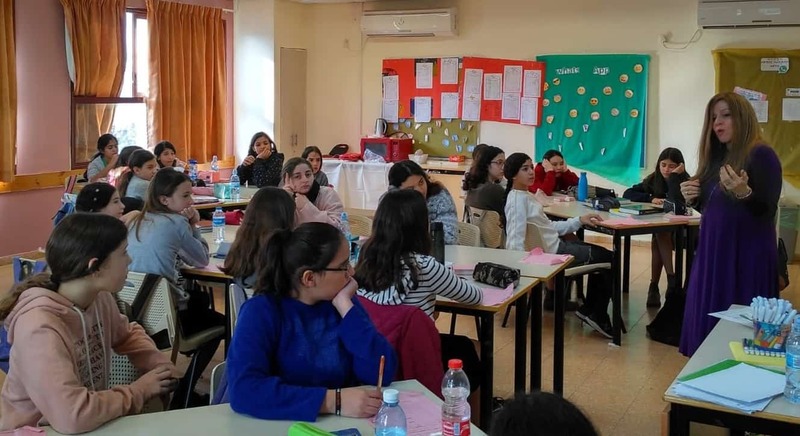 The opportunity to teach classes at Shalhevet only gave me a clearer lens into the amazing things going on among the youth in Israeli communities like Shoham – and it was wonderful to get to know the students. These are very special groups of young people. I had the pleasure of collaborating with the leadership of the Shoham schools on a partnership project involving the Shoham and MHA students meeting and learning from each other academically, culturally and religiously. Our students have already met each other via a pre-Chanukah Skype session, quickly becoming “pen pals” from abroad. How excited were the kids on both sides of the ocean to send letters to their counterparts on the other side of the world! The students from Israel gave me chocolate bars to give to their new friends in Memphis. As an educator, it was a privilege to see that the students, though thousands of miles away, have more in common than they ever thought possible. Our 7th and 8th graders at the MHA are beyond excited to finally meet their friends at Shalhevet in May when they are on their MHA Junior High Israel Experience, a trip made possible through a generous gift from Memphis Jewish Federation’s Lemsky Endowment Fund. Thank you to everyone who made the Shoham mission possible and continue to support the great partnership between our wonderful community and our Jewish homeland of Israel.